When you join Your Divine Uniqueness you’ll instantly receive a Welcome Gift bundle of healing goodness! Be blessed and supported by powerful healing processes from transformational masters who lovingly offer these gifts to you. So give yourself a HEALING GIFT and join me on Your Divine Uniqueness! CLICK HERE TO LEARN MORE AND SIGN UP FOR THIS FREE TELESUMMIT! The Time is NOW to Align with your Divine Soul Mission!!! What did you incarnate to bring forth here now? Did you know that you have what it takes and your very “Embodied” I AM Presence is a Solution to the many challenges we collectively face on the Earth today as we move toward Gaia’s Ascension! Are you ready to tap into the Passion that “Lights you up” from within the Stargate of your Heart Field as we access all through the “I AM” Frequency bandwidth? When we Awaken and ALIGN through this “I AM” Frequency, Magic and Mastery occur serendipitously, and it is through this Alignment that you begin to Embody this Divine Presence and have access to your Soul’s Mission and reason for incarnating! You ARE here to bring forth your Unique Multidimensional Gifts to the World that SOOO needs them right now!!! 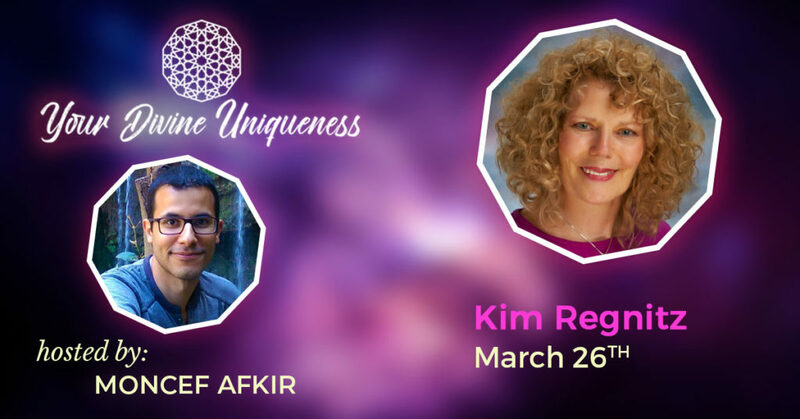 We invite you to join us in the Flow of the Magic of this High Vibrational call, as Kim will be leading us through a Holographic Magical Activation of Discovery, as Guided through her “I AM Alchemy Team”. She will also be taking Live Calls and Questions facilitating the Upgrading of your Frequency Bandwidth, allowing you to be in Harmony and coherence with all that is possible for you NOW?